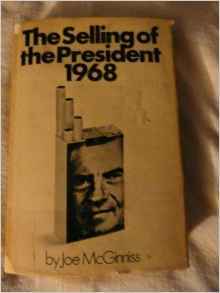 In 1968, Joe McGinniss wrote a landmark book, “The Selling of the President, about the 1968 Presidential race (Nixon vs. Humphrey), basically showing how politics was beginning to learn from big marketers. In 2016, the student has become the teacher. Presidential campaign teams are already the most sophisticated marketers at precision targeting of messages and in 2016, they will take it up a few notches by spending over $1 Billion on digital and specifically fully embracing programmatic advertising as reported by Ad Age. Programmatic advertising allows campaigns to reduce waste. Campaigns can target “persuasion messages” to those who are modeled to be undecided (and specifically those who live in swing states). It allows those who are likely to be committed to your candidate to be targeted with fund raising ads. It theoretically allows Clinton to advertise on Foxnews or Trump to advertise on CNN or the New York Times…something previously unheard of…by programmatically targeting only those voters who are receptive without wasting money against those in the audience who are committed to another candidate. Data assets…where tens or hundreds of millions of users are profiled and data are stored in DMPs, CRM databases, and social media interest profiles. Users should also have unified IDs that links together their screens. Predictive modeling…to segment voters by the probability that someone will vote for your candidate, creating segments of ‘persuadables’, ‘entrenched’ (to you), and ‘unavailables’ (entrenched to the other candidate). The model can be built from survey data linked with digital and social profiling that is then used to model these classification at scale. Programmatic infrastructure…ability to choose which ad serving opportunities to bid on based on user profiles, geography, etc. These rules are adjusted in real time based on what is working to change opinions of candidates. I include in the definition of programmatic the highly precise advertising that can be done on Facebook and other social media platforms based on interest, geo and demo profiles. The big benefit to having lots of fans and followers isn’t so much the free advertising from updates, tweets, sharing, etc., it’s the advertising you can pay for that is targeted precisely based on fan profiles. Brand marketers should view this campaign year as a massive naturally occurring marketing lab. What are they likely to learn? Predictive analytics at scale. Target persuadables with advertising and offers to raise the ROI of marketing efforts. Even if a marketer has a reasonably well populated DMP, I find they might not have brand propensity scores modeled onto user profiles. This is a must in the political arena and should be for brand marketers too. For CPGs, leverage frequent shopper data-led profiles. For other marketers, they can often leverage their own transactional data. Extract insights in real time. Presidential campaign assessment is daily while marketers’ brand trackers are quarterly. tracker readouts are not fast enough for brand campaign pivoting. Marketers, if your DMP has propensity scores, the marketing research team could actually extract brand equity tracking in real time right from your DMP and bypass laborious brand tracker surveys! Get continuous brand equity measures from the DMP propensity profiles, brand meaning from social media, and shorter surveys, actually launched from the DMP, to fill in the gaps. Marketing organizations are still feeling their way in digital, and what the supporting tools are. Closely study how presidential campaigns use digital this campaign season. How budgets are divided up, how data assets are organized, skills on the team, how social is used, etc. I would talk with companies like Civis Analytics, or Benenson Strategy Group (Obama and now Clinton’s pollster) who bridge over between brand and political marketing. Insights leaders…make sure you have a senior researcher who is also a subject matter expert regarding the digital world and is thinking about what the insights reinvention possibilities from the same data used to drive programmatic advertising.